Monitoring your Air Quality – Automatically measuring and graphing Air Quality with an inexpensive device « Adafruit Industries – Makers, hackers, artists, designers and engineers! There are several citizen group projects that are developing open source equipment (e.g. Air Quality Egg). There are several recent discussions about adding a Particulate sensor. The Egg Project aims to give citizens a way to participate in the conversation about air quality. It is composed of a sensing device that measures the air quality in the immediate environment and an on-line community that is sharing this information in real-time. It is a community-developed, open source project that is driven by people who care about the air they breathe. The $290 DC1100 Pro Air Quality is a true Laser Particle Counter with two different size ranges. The small channel (0.5> Micron) should see bacteria and mold. The Large channel (2.5> micron) should see dust and pollen. The LCD display constantly shows bargraphs and values for the small and large particles. 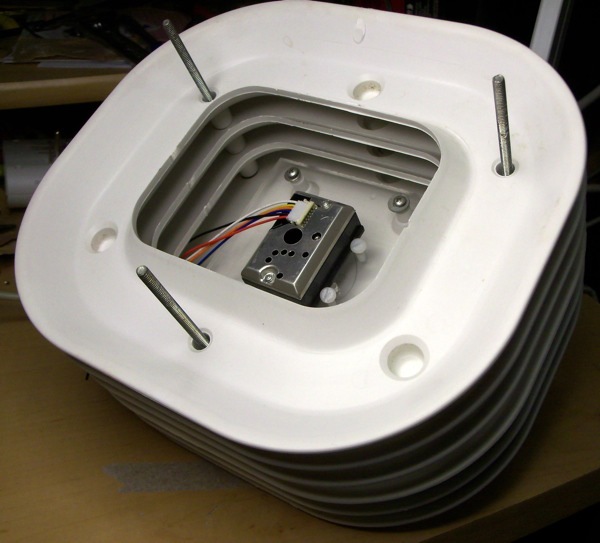 The unit saves 30 days of air quality data. I ordered the unit with the PC Interface Option and connected it to an Arduino Ethernet so I can automatically log the data to Pachube. That way air quality alerts can be triggered and sent to twitter and my cell phone.